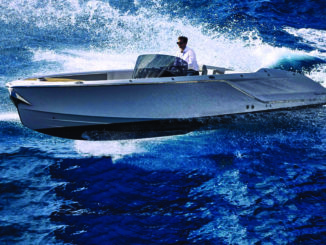 HomeNewsNew BoatsAll-New Boston Whaler 130 Super Sport, not so small! 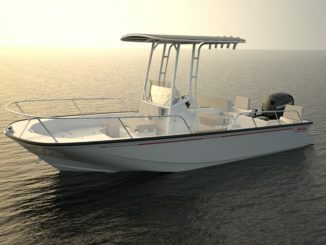 Boston Whaler just presented the all-new 130 Super Sport, redesigned from the keel up for 2019. 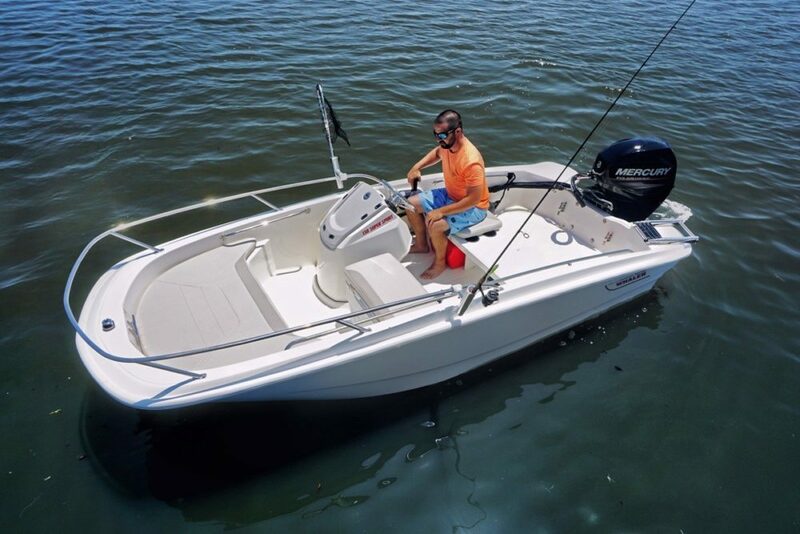 Available with a variety of seating configurations and options, the nimble 130 is easy to customize for family-favorite activities including watersports, fishing, exploring and more. Cockpit space has been optimized to provide a remarkable amount of elbow room onboard. 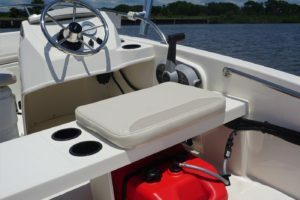 Yet with their shallow drafts — 10” on the 160 and 9” on the 130 — you can navigate the smallest, most hidden waterways with total confidence. 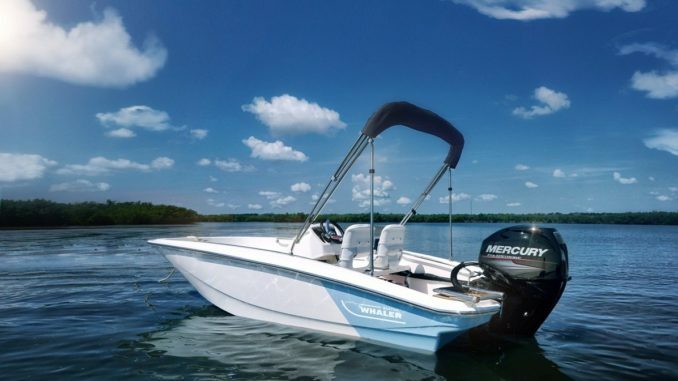 Each Boston Whaler130 Super Sport’s Mercury FourStroke engine delivers impressive fuel economy and reliability. 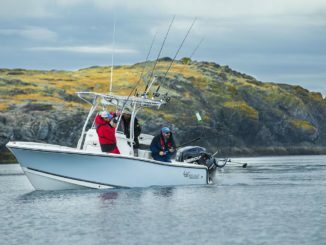 Combined with Whaler’s precision-engineered hull design and unsinkable construction, the 130 and 160 ensure unbeatable safety and unstoppable performance. 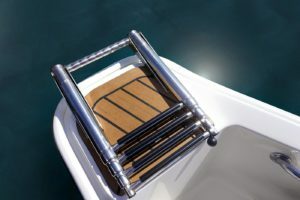 Onboard, the 130 Super Sport offers exciting new features include a lockable front-of-console storage compartment to keep valuables secure; dual aft swim platforms that extend the action all the way to the water; and a stylish new rear-accent hull color option to lend extra flair. 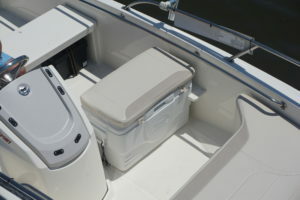 An optional cooler seat with cushion adds comfort and convenient drink storage, an optional sun-top with boot and stainless-steel fittings provides shade on sunny day, a lockable, water-resistant storage compartment in the console secures your valuables, an optional cushion turns the bow into a spacious, comfortable lounge space and a stainless-steel side rails, steering wheel and cleats complete the boat. No doubt about it: The new Super Sports may be small in size, but they’re HUGE in comfort, functionality, and fun!